This article highlights the advantages of using the latest generation of BIM software for energy modeling by the presentation of a specific case study. The case study was carried out by Blue Green Engineering (BGe), an Australian company with long and extensive experience in Building Energy Design, and refers to an existing building that was constructed back in 2012. The building has an area of around 1000 m² and consists of numerous offices, community and activity rooms, laundry, kitchen and shower facilities, as well as the typical mechanical services. Easy to learn and use Graphical User Interface, preferably similar to AutoCAD™ or IntelliCAD®, given that a familiar interface would assist in reducing the time to learn the software and construct the 3D models. 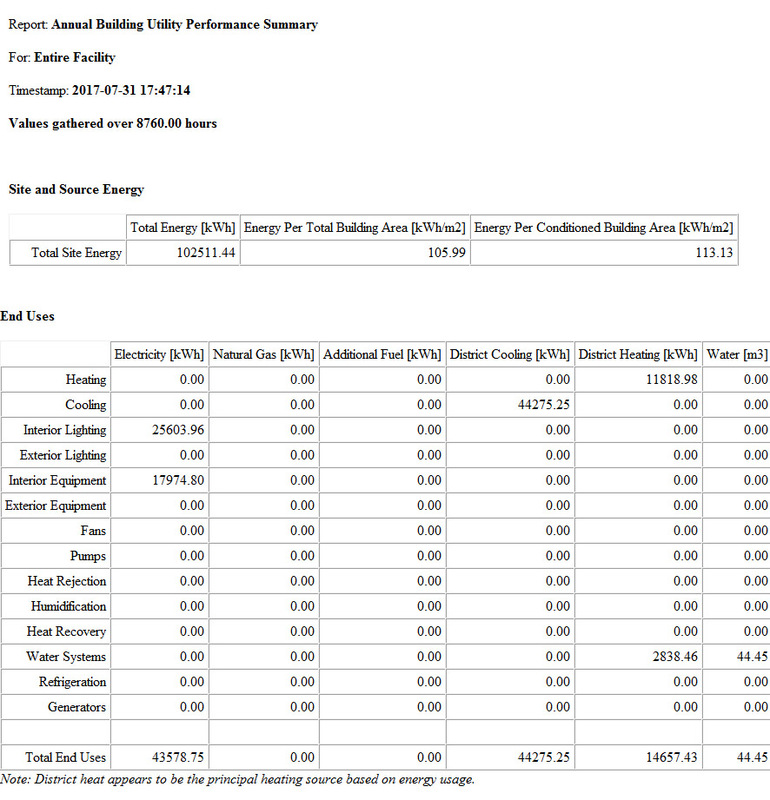 Use of the Energy-Plus calculation engine, which is sponsored by the US Department of Energy, and is updated and improved on a regular basis. IFC Compatibility to import 3D BIM architectural models from other programs, in a precise and reliable way. 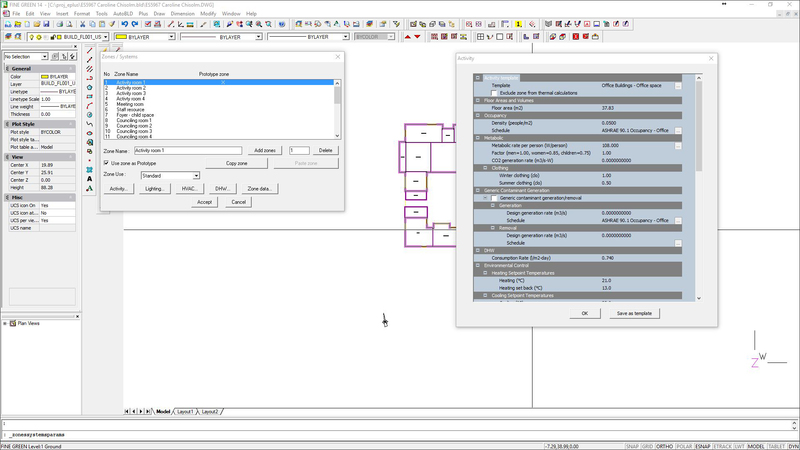 FineGREEN has a familiar CAD user interface (Figure 1) and uses the native DWG format for its files, giving the end user a fairly flat learning curve. FineGREEN imports 3D architectural models from programs like Revit®, Archicad®, Vectorworks®, SketchUp Pro® or equivalent, through the IFC import function. FineGREEN belongs to a BIM Suite of multi-disciplinary software programs like IDEA for Architectural Design and FINE-MEP for Mechanical /Electrical Services, which also facilitates the sharing of 3D building models. Figure 1. A general view of the FineGREEN interface. The final choice decision was empowered by the fact that FineGREEN belongs to the Official EnergyPlus Third-Party Graphical User Interfaces (https://energyplus.net/interfaces#finegreen) and it is also registered within the BEST (Building Energy Software Tools) Directory (https://www.buildingenergysoftwaretools.com/software/finegreen). The use of BIM energy modeling software was necessary to determine the annual consumption of the building reliably and efficiently. 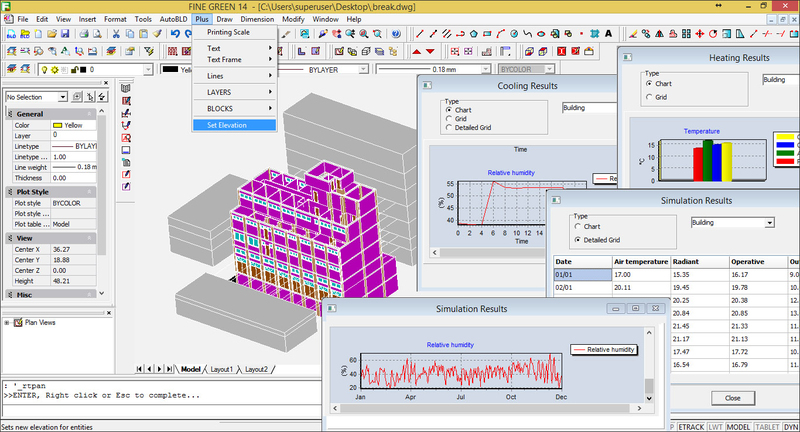 Energy modeling software saves time when optimally determining building fabric construction and building services. The software is especially beneficial when it reduces time that energy assessors spend running multiple iterations of the calculations. Following the Australian Standard 1680.2, the minimum HVAC (heating ventilation and air conditioning) service levels assume a maximum indoor temperature of 24ºC for cooling and 21ºC for heating, as well as a minimum lighting level of 320 LUX for offices, 150 LUX for assembly spaces and 40 LUX for corridors. The client provided access to 12 months of energy bills. However, due to maintenance issues, many of the service levels were not met because a large number of equipment was not operating. Hence, the energy bills did not reflect the energy baseline accurately (the term ‘energy baseline’, refers to the annual energy consumption of a building before any energy savings upgrades have been implemented). The first energy model predicted the energy consumption without the service levels being met (as per the actual situation of the building). We used this model to calibrate the energy consumption to the energy bills. Once we were satisfied with the quality of the results from this energy model, we proceeded to the construction of the second energy model. The second energy model was based on the first energy model and predicted energy baseline consumption after assuming that all service levels were met and that all maintenance issues had been rectified. As a result, via this calibrated energy model, it was possible to calculate the baseline energy consumption for a building that met all service levels. The following figures show the energy modeling process. Figure 2. 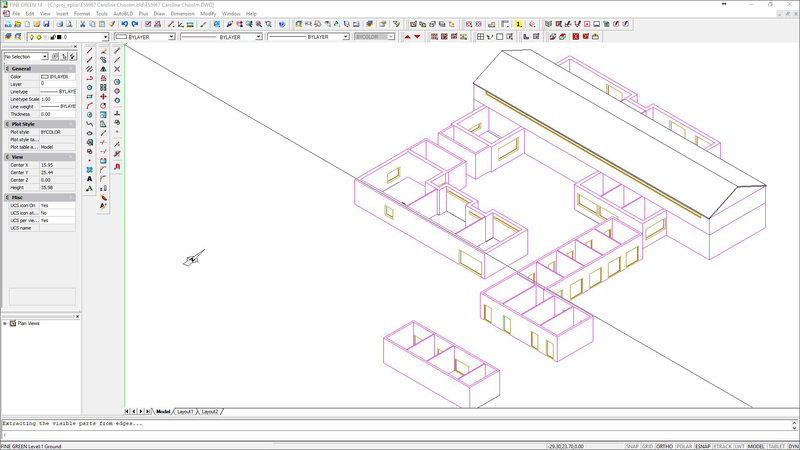 A 3D view of the energy model (the visibility of some of the roofs has been turned off). Figure 3. A plan view of the energy model and Location and Weather options dialog. Figure 4. Defining the various activities for the project. Figure 5. The energy modeling process determined the following breakdown for the pre-installation energy consumption (i.e., the energy baseline). Figure 6. The EnergyPlus results. FineGREEN was easy to learn and use, with a functionality that was easily understandable thanks to its familiar, AutoCAD-like graphical interface. Due to its BIM philosophy and IFC compatibility, FineGREEN was the optimal tool to import and manipulate 3D BIM building files composed of intelligent objects. The simple graphical interface also facilitated this. With FineGREEN, the designer can be confident with the numerical results (intermediate and final), given the well-known reliability of the embedded Energy Plus (e+) calculation engine. FineGREEN has the capacity to perform multiple calculations in a fast and reliable manner and at various levels. For example, in this case study two separate energy models (model 1: energy baseline with the service levels NOT being met; model 2: calibrated energy baseline with the service levels being met) were generated. Therefore, FIneGREEN performed quickly and reliably a large number of calculations for 8.760 hours for a typical year and also performed multiple iterations of the calculations themselves. For all the above reasons, FineGREEN has led to considerable time-savings as it produced reliable results in a short time which were facilitated by an optimal interface for outputting information into reports. Vasilios Giotis is Director of Blue Green Engineering, a sustainable design company based in Australia. He is a professional mechanical engineer with post-graduate qualifications in renewable energy and energy efficiency. 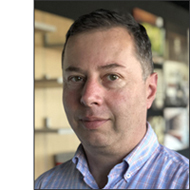 Vasilios has had many years of Australian and overseas experience in the sustainability field and has been involved in many large and small green projects. Vasilios believes that practical but innovative sustainable engineering can contribute to a more ecological way of living. He can be reached at v.giotis@bluegreeneng.com.au. 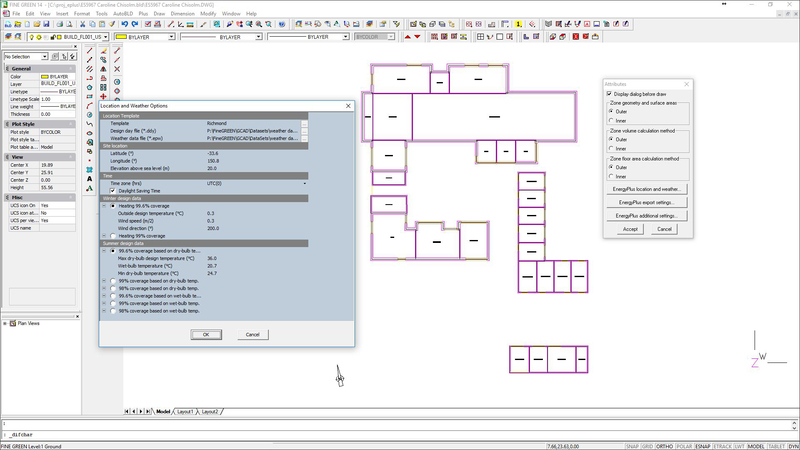 TYhis review explores the range and capabilities of 4M's IntelliCAD-based IDEA application for architectural design and how it differs from industry-leading BIM applications. The latest versions of the IntelliCAD-based BIM applications for architectural and MEP design, IDEA and FINE-MEP, from 4M, the latest developments from Newforma, the results of the survey on collaboration that Aconex conducted on AECbytes, a preview of Trelligence Affinity 7.2, and more.